At the Droxford Country Fair on June 4th, FODC exhibited the scale model of the church featuring the Community Hub extension at the west end of the church, together with Bulletins on progress of the project. In the Chancel area photographs of the current restoration works funded by the Heritage Lottery Fund were on display, complemented by a ‘timeline’ of Droxford History compiled by Michael Collins. In addition the Droxford D-Day 70 graphic panels describing D-Day in the Meon Valley and the famous historical visit of Winston Churchill to Droxford Station in 1944, are on permanent display in the north chapel. 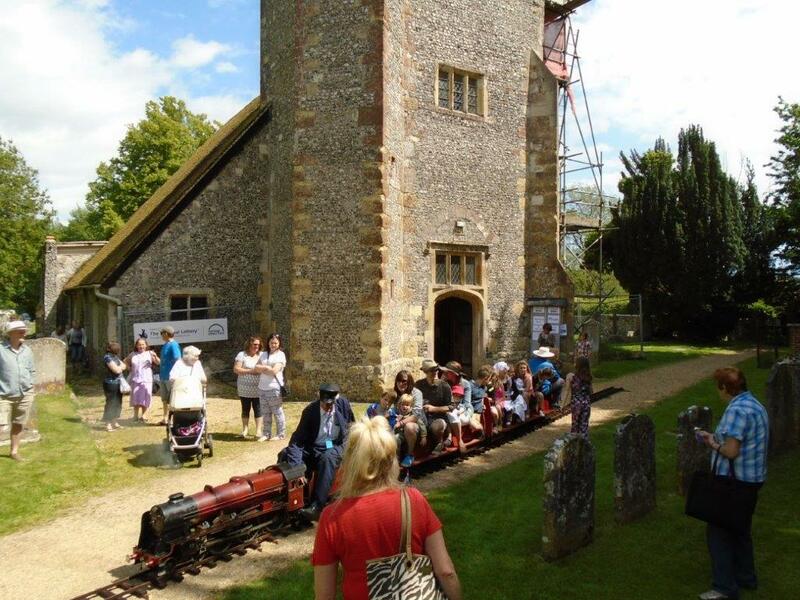 Outside the church, Tony Hoile entertained young and old alike with his working scale model steam engine, offering rides along the churchyard path. Elsewhere FODC organised the Raffle with star prizes offering local pub meals courtesy of the Bakers Arms, and the White Horse.